An exciting children's outdoor concert series that includes music, live animals, magic and LOADS of fun! Spraypark and playground located close by - pack your lunch, swimsuit and towels and spend the afternoon at Les Gove Park! Hands-on ArtRageous art activities offered at all events throughout the series. 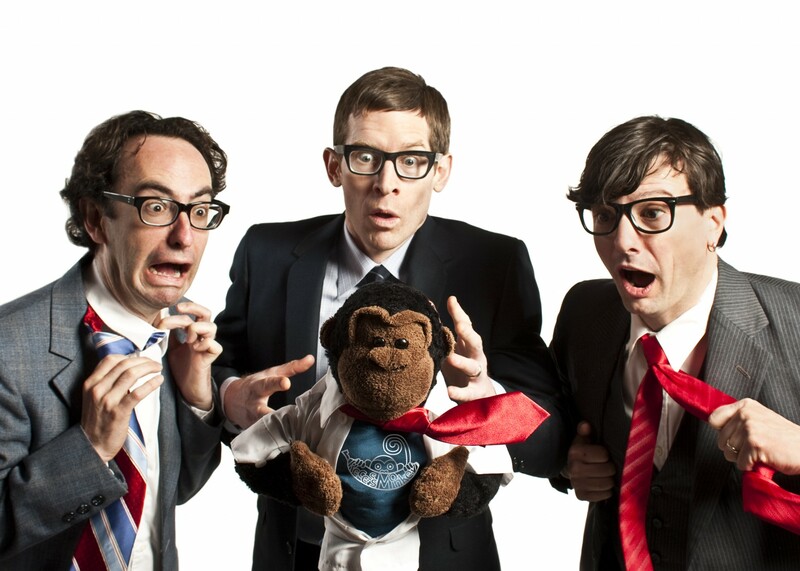 Known for prolific, eclectic musical output and their contagiously exciting live shows, Recess Monkey strives to strike a balance between kid-centric ideas and musical authenticity. Lyrically, they weave jokes and puns together with universal childhood themes, speaking to both kids and their parents simultaneously with catchy, melodic songs. After each performance, head to the climbing wall for 'Get Outside & Climb', from 1:00-3:00 PM. Unlimited climbing for $5 ($6 non-residents), ages 4 and older. Wristbands available in the Community & Event Center. Belayers, instruction and all equipment is provided.